The link below is to an interview that I carried out with Fran Donovan for Premier League Productions regarding Performance Psychology in professional 1st team and International football. 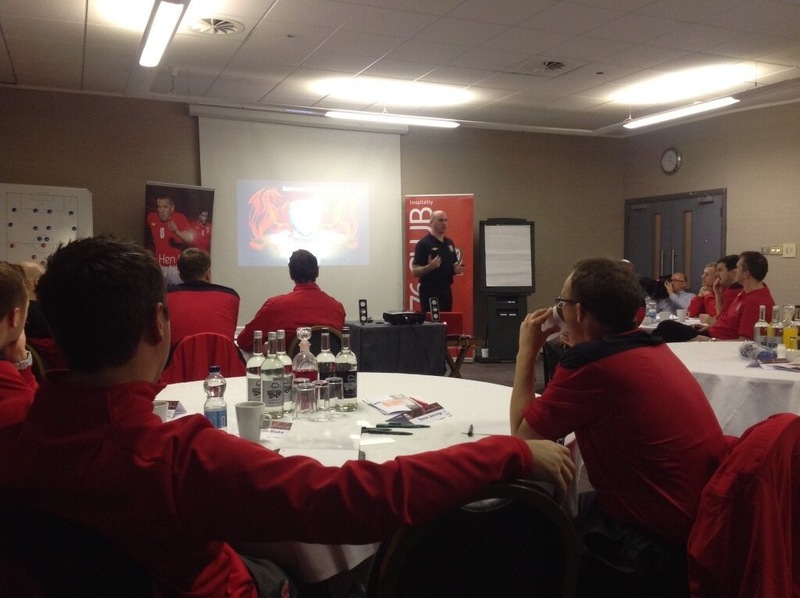 Ian Mitchell is currently the Performance Psychologist for Swansea City AFC and the Wales National Team. As a schoolboy he was linked with Chelsea FC and captained Wales Under 18s before signing professionally for Hereford United in the Football League. After leaving full time football he continued with his education and played semi-professionally during which he captained Wales and Great Britain University teams and represented Great Britain at the World Student Games. His education saw him gain a BA (Hons) in Sport and Human Movement Studies, an MSc in Sport and Exercise Science (Distinction) and a PhD in Sport Psychology for which he received the British Psychological Society Award for an outstanding thesis in stress and social support. He has supervised PhD students in the areas of Sport Psychology and Coaching Science, published and presented at National and International Sport Psychology and Sport and Exercise Science conferences for over a decade and served as an external examiner at Southampton, Hertfordshire and Bath Universities. Ian has reviewed regularly for journals such as, The Sport Psychologist, Journal of Sports Science and Medicine, Psychology of Sport and Exercise, Journal of Applied Sport Psychology, Journal of Sports Sciences, European Journal of Sport Science, and Journal of Sport Rehabilitation, and reviewed grants for the Economic and Social Research Council, The Leverhulme Trust, and the Higher Education Academy. Ian’s applied research has enabled him to lead investigations with FIFA, the FAW, the IRB, the WRU, and The Higher Education Academy. For the last 12 years, Ian has delivered as a coach educator on both the UEFA Advanced and Professional Licences for the Welsh Football Trust (WFT). Areas of delivery include personal effectiveness, reflective practice, football psychology, mental toughness and resilience, communication, and leadership. He also leads on leadership development and mentoring programmes for the FAW and WFT. He is currently a UEFA qualified coach, formerly coach for the Wales National U16s (Victory Shield) squad and has previously scouted for Manchester United 1st team. His previous academic roles over a 17-year period include Director of Sport & Exercise Science and Senior Lecturer in Sport Psychology at Cardiff Metropolitan University. 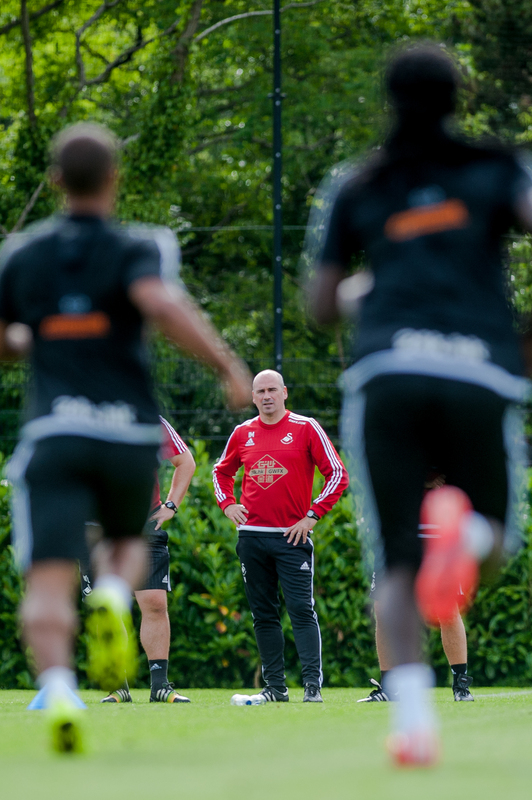 Ian is now full-time at Swansea City AFC and works with the coaching and technical staff for the Wales National team during the current European qualifying campaign. Ian is an Associate Fellow of the British Psychological Society and member of the Health and Care Professions Council. In the high performance environment of professional football, individual performances, manager’s behaviours and collective team success when overcoming adverse game situations are frequently tagged alongside the term, ‘mental toughness’. Rightly so, the term mental toughness has been often associated with these situations although perhaps in a slightly flippant way when you actually look at and understand the research that has been carried out within the respective area. As an applied practitioner it is apparent that the core aspects of mental toughness that have been highlighted in the sport psychology research are actually key on the other side of the client-practitioner relationship. That is, for my own role when working with elite players, managers and coaches within professional football. We often talk about the resilient characteristics of top-level performers and the importance of mentally tough behaviours to cope with optimal performance and rehabilitation processes. However, as applied practitioners we need to be aware of how we develop our own toughness in order to cope within a highly demanding environment. A high level of self-belief in my ability to be successful in my role. I am often faced with different situations that challenge me or indeed provide barriers to achieve my goals. In order to overcome these and be able to consistently work at high levels of performance, I have to remain focused on my own ability when working alone or within a multi-disciplinary team. Context knowledge and intelligence is vital in the role. Through a previous playing career, coaching background and academic profession, I have gained extensive knowledge of the football and performance psychology area. As a result, I am able to identify what is needed to be successful in my current role and understand both squad and staff dynamics together with the culture of a professional and high performing environment. The context within the professional phase of football is dominated by a results-driven climate. Therefore, the mentality for continued success is important; not just for players but for support staff as well. The development of a successful mindset allows me to push things forward and step out of my comfort zone. It’s not always about thinking outside of the box, but pulling yourself and others into areas inside the box that haven’t yet been explored. Within a results-driven business, winning is not always an option so the ability to remain positive and support others when times are demanding is central to the role. I regularly reflect in order to manage thoughts and stay positive so an optimistic focus enables me to learn from all kinds of experiences. Professional football is a challenging environment with highs and lows fluctuating frequently on a week-to-week basis. It is therefore easy to lose focus on the things that you do well and come away from the knowledge and skills that help you to remain effective in your role. Accepting the challenge rather than perceiving adversity as a threat will allow you to remain buoyant in these challenging times and one of the areas that I believe has helped me demonstrate resilient behaviour within a pressured climate. Behaviour regulation is the final aspect that I believe has helped me to thrive within the professional football environment. The ability to manage my emotions in times when others may lose control has enabled me to stay focused and direct my attention towards relevant information. Both attention and emotion control will need to be developed so that emotions can be utilised productively and that a high level of focus maintained in times of difficulty. One thing that I have learned from a research area that focuses on stress and social support is that of the importance of reciprocal relationships. Supporting managers, coaches and players is a two-way process but often neglected on the part of the applied practitioner. In order to remain effective and maintain performance levels, we should look further into the development of (mentally) tough behaviours that will allow us to break down ever-present barriers and continue support within a results-driven climate. As a player, like many I was unfortunate to experience serious injuries, which ultimately dictated my transition out of sport into academia. My injury experience instigated my research interest into how athletes psychologically respond to injury and cope with a demanding rehabilitation journey. Since my playing days I have had the opportunity to work with many injured athletes (the majority of which have been football players) from the onset of injury to the return to competition phase. During times of consultancy it has been apparent that many injured players face a number of highly stressful demands that have the potential to significantly affect their responses to, and rehabilitation from injury. Take a minute or two to think about the many demands that an injured player will face that characterize the rehabilitation process. You will probably have thought of several that generally fall across areas such as physical, rehabilitation, emotional, cognitive, financial, social and career. These demands have the potential to play a significant role on the player’s responses to injury and impact upon their rehabilitation. Common responses of injured players include the loss of normal functioning, feelings of isolation, the inability to train, slowness of progress, rehabilitation setbacks, weight gain, a loss of confidence, and a fear of re-injury. Indeed players who I have worked with who are incapacitated due to injury have not be able to function physically as normal which has the potential to disrupt a loss of their goal-directed behavior and in turn, exacerbate feelings of frustration and depression. Fortunately, models of psychological responses to injury that have been developed from the stress literature have influenced my applied work with injured players. The models highlight that a player’s thoughts will be influenced by three main factors that include their personality, history of demands, and coping resources. The thoughts (or appraisals) of players are key to understand how they are likely to respond particularly in relation to the perception of loss that accompanies the injury. So for example, a player who has a strong footballing identity, who trains hard every day and has done so for the last 20 years and whose lifestyle is completely dependent upon the profession, will have a high value system associated with the sport. Once that tie has been detached (temporarily or permanently through injury) then the perception of that loss together with the three (pre-injury) factors mentioned earlier, will influence the way that the player responds to the injury and its related demands. The emotional responses of an injured player can vary and are typically negative such as shock, tension, depression, anger, confusion, frustration, and anxiety. These responses are also temporally defined and will change over time so as an applied practitioner I need to understand that players will experience common (and normal) responses during the initial, middle, and late phases of rehabilitation before returning to the competitive environment and that these will vary in relation to intensity and frequency. The individual profile of the injured player is therefore important to acknowledge and largely dependent upon pre-injury factors that have the ability to change the way a player appraises the situation that they are in. Soon after a serious injury, the many players that I have worked will often express difficulty in dealing with pain, the concerns about an accurate diagnosis and prognosis, finance, as well as negative images of the occurrence of the injury. Inevitably, players will feel down, lose self-esteem, start to rely upon others, and question their identity as a footballer. The perception of loss, either real or symbolic, will underpin how the player will behave at this early stage in the rehabilitation process. As a player progresses from this phase into a more engaged phase with physiotherapists, a number of challenges will exacerbate feelings of frustration and uncertainty. This is a difficult phase for a player, as they have to deal with their limited mobility and/or loss of full function alongside aspects such as feeling isolated and dis-engagement from the squad together with a perception of a loss of control and autonomy over the rehabilitation process. Adherence at this phase is key for a player and self-motivational aspects need to be recognized by staff particularly as potential setbacks can threaten compliance and progress. In addition to this, staff should understand the importance in the players’ belief in the efficacy of the rehabilitation programme. Finally, the return to competition phase is often seen as a complex one for both the player and support staff. Players at this stage in their rehabilitation constantly talk to me about the fear of re-injury, the decision to return to sport and whether or not they can return to their pre-injury performance level. Psychological readiness to return to full training and a game situation can often lead a player to ask themselves a number of questions and a need to restore confidence is often at the top of the list when preparing a rehabilitating player for competitive training and game transition. Interventions that have been offered in the research literature are varied and sport psychology consultants will probably have used many that have been suggested. These vary from social support, to reflective practice, to mental skills programmes that tend to differ according to the phase of rehabilitation that the player is currently working within. However, contextual intelligence is something that I have developed as a result of my past playing experience, injury and my experience working within professional football as a coach. By that I mean, my understanding of the landscape in relation to the people and the demands of the environment. For example, there have been many situations where I have worked with clients in a performance capacity where confidentiality is upheld at all costs. However, as social support plays a key role in the way stress is suppressed (or ‘buffered’) it is important for me to not only recognize the support network of my client but also help him mobilize it to enable him to cope with the demands that he is experiencing. So, with the permission of the client I speak to managers, coaches, rehabilitating staff, players, family and agents to maximize the support that is required to deal with the demand(s) and inform intervention. On a number of occasions I have held consultations with an agent and player and worked closely alongside physiotherapists, strength and conditioning coaches and sports scientists to make sure that training is simulated to accommodate process-related and proximal goals aligned to other targets that have been set for the player. An interdisciplinary approach is mainly adopted that taps into the often apt and resourceful player’s network although facilitating relationship quality between all members involved is always a challenge. Last season I was fortunate enough to work with Wales International and Premiere League player, Neil Taylor who in the previous season had represented Great Britain at the 2012 Olympics. After meeting him for the first time I could sense that I would be working alongside a bright and mentally tough individual who demonstrated a high level of resilience. What was refreshing was his attitude to learn about the mental side of injury and his willingness to adopt a refined approach to his game throughout the process. In addition to a mental skills approach that initially involved cognitive restructuring, I engaged in dialogue with both rehabilitation and training staff to ensure that the support that was offered and perceived to be available, matched the demands that Neil was experiencing. This approach was key to the success of his return from a serious injury and a programme that provided evidence-based practice through the integration of psychology. Neil was very open and trusting in his approach and was public when acknowledging the support that I provided. This I believe was not only courageous due to the potential consequences of this behavior, but it highlights the importance of psychological knowledge in the modern game with players accepting its importance as opposed to the stigma that has historically accompanied it in professional sport. My applied work with injured players is based upon models of stress-response and social support that are largely underpinned by change and growth. Although there are many negative aspects of experiencing injury and its associated demands we should not overlook the opportunity for growth and development whilst experiencing injury. This is an emergent area within the psychology of injury and a colleague of mine, Dr Ross Wadey (@rosswadey) is researching stress-related growth with a focus on the factors and mechanisms that transform adversity into an opportunity for growth and development that is a worthy consideration for applied work within a rehabilitation context. Injury is always an unfortunate experience for any player and it is apparent that a number of demands will characterize the rehabilitation process. As applied consultants and coaches, we are in a very good position to recognize those and appreciate and understand what the player is going through. A fully integrated approach is one that will add value not only to a successful return to competition but one that will embed psychological aspects into the player’s daily routine to optimize performance both in training and game situations. The role of psychology in sport and advances in sports science and management. The following is an interview that I did for Football Focus Magazine in 2012 and it provides a basic overview of the discipline of Sport Psychology and its link to performance and football. The article can be accessed through the following link: http://www.footballfocus.biz/FootballMags/Football_Focus_Issue_29/#/28. We knew sports performance is determined by a combination of factors including technical skill, tactical insight and a positive state of mind. In this feature we delve deeper into the subject with a couple of the UK’s finest experts in the field… Ian Mitchell, PhD., C.Psychol. a Senior Lecturer in Sport Psychology at Cardiff Metropolitan University. Q Can you let me know more about the role of Psychology in Sport and how it affects performance? Basically, sport psychology is the scientific study of the athlete’s mind and behavior. It involves the application of psychological theories and methods to prepare for competition to improve sport performance and psychological well-being. A sport psychologist tends to work with both individual athletes and or coaches and those performing within a team and can vary across levels from amateur to elite and different age groups. Sport psychology is a broad discipline and allows you to understand both coaches and athletes from a performance and exercise-related perspective. Typically, sport psychology has the potential to allow you to learn and understand the athletes/coaches that you are working with in relation to specific personalities, motivational aspects, the nature of different situations they may experience, confidence issues, concentration and focus, burnout, controlling aggression, coping with injury etc. In addition to these psychosocial aspects, sport psychology focuses on the motor control aspects of performance and will allow you to understand areas such as feedback, skill, and learning. Finally, sport psychology has an exercise element to it and can look at areas such as exercise behavior, physical activity promotion, and emotion and affect in exercise. These are obviously only highlighting some aspects of sport psychology but you can see it is a vast area that will allow someone to gain a broad understanding of psychological concepts across performance, learning, and exercise settings. The question about how psychology affects performance is quite a difficult one as there are so many variables involved in a sporting performance. From my own experiences within football, players can present issues such as negative thoughts about a particular match or training session, behave differently when playing across different situations, physically react to certain things such as a bad challenge, referee decision, comment by another player or even be inconsistent with their mood at different times of the day or week. These all have the potential to impact upon performance and can be interconnected. When I have worked with players (or coaches) that talk to me about these issues I try and get them to firstly recognize what it is they are experiencing, evaluate, and then respond to their thoughts with a view of changing their behavior. This is a classic cognitive behavioural approach that has been shown to be useful for players and coaches to manage (and monitor) psychological aspects such as anxiety and loss of confidence. I guess the overriding principle of the role of sport psychology is to firstly identify those issues that may be impacting upon performance, get the player or coach to recognize them, and together with the specific needs of the individual, discuss a way forward that can allow them to control and manage them. Consequently, this can allow the player or coach to focus on the performance-related task rather than anything that may be irrelevant or indeed, could have the potential to influence optimal performance. Q What are some of the best methods to enhance performance through psychology? There are a number of evidence-based strategies that are prominent in the sport psychology literature that have been proven to enhance performance. Typically, these tend to focus on issues that surround motivation, confidence, and anxiety of players and coaches. Mental skills training tend to be prominent within professional football and can involve strategies such as goal-setting, relaxation, imagery and mental rehearsal, and self-talk. For example, if a player or coach has some difficulties maintaining motivation, there may be a need to (re) focus attention, increase his/her effort and intensity in what they are doing, and/or encourage persistence in the face of certain difficulty. Goal setting could then be an ideal way to help this kind of player/coach by discussing outcome, performance, or process related goals that highlight both the long- and short-term process and defines the proximal nature of each in relation to what is trying to be achieved. A potential caveat to this is when goals are not properly considered they can then become dysfunctional and promote anxiety in the individual so care should be taken in order to facilitate the process with the player or coach. More advanced strategies can be utilized in order to address issues such as self-confidence, stress, and concentration. Again, an example of a player or coach who is low in self-confidence may have issues in their ability to perform at (previous) high levels. Within an injury context, players may have confidence issues when returning to competitive games, particularly if they were injured in a tackle situation. This becomes more of a situation-specific confidence and a fear of re-injury for the player. Typically, with his kind of player we would try and enhance his/her competence to achieve in a similar tackle situation when they play again and tap into areas such as past (successful) performance and tackle situations. This can be enhanced by video images of the player or just getting them to talk through the process of a successful tackle. Alongside this we would simulate the training environment and break down the tackle situation into small processes to focus upon the technique of the tackle rather than the outcome. Medical staff can be brought in to talk to the player with regards to the actual strength of the injured area and we highlight the need to be verbally persuasive (in a positive manner) through coach feedback as well as his/her self-talk strategies. This is a typical theoretically based strategy that has been used consistently with confidence restoration issues in injured players and one that requires an inter-disciplinary approach within the rehabilitation context (i.e., communication between the different areas of support to the player). In addition to these a number of areas such as mental toughness and resiliency have received attention more recently due to the organizational aspects of the sport together with its ever-changing nature and associated financial benefits. Q What are some of the biggest challenges that face the subject in the future and what are some of your hopes for its use in the game in the future? I think one of the biggest challenges that the discipline faces at the moment is the actual process of becoming a chartered sport psychologist. Financially, this can be an expensive process and can take an individual a number of years to become eligible to work with individuals. In addition to this, gaining specific experience can also be problematic, particularly due to the confidential and sensitive nature of working with certain clients. Having said that, there are a number of very good undergraduate and postgraduate programmes that will allow the student to gain a good level of knowledge and experience in sport psychology. Our postgraduate programmes here at the Cardiff School of Sport provide students with the opportunity to extend theoretical and applied knowledge within a student-centered environment. In addition, a specific programme here forms stage 1 training of British Psychological Society (BPS) Chartered status and will enable students to progress onto stage 2 training. Our other sport psychology programme allow students to pursue the British Association of Sport and Exercise Sciences (BASES) route of Supervised Experience and accreditation or through a conversion course to BPS Chartership. With this in mind, I think that sport psychology does have a bright future and definitely developing in the right direction. Players and coaches are becoming more educated and understand the psychological nature of performance and the sport is starting to accept the discipline for what it is. Years ago there was a certain stigma attached to the role of sport psychologists and individuals would shy away from that specific kind of support. It goes without saying now that the health and well-being of individuals in football is more popular than ever, particularly as players and coaches are significant role models within every community. Sport psychology is not something to be afraid of, and should not only be brought to attention when there is a problem. Sport psychology should be integrated into the routine of every coach and player, alongside the other important disciplines such as physiology, biomechanics, and strength and conditioning particularly if they are serious about optimizing preparation and performance levels.